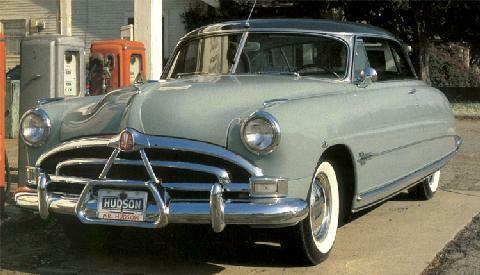 Hudson Hornets were available as a two-door coupe, four-door sedan, a convertible and a hardtop coupe. The models were priced the same as Commodore Eight, which was priced from US$2,543 to $3,099. All Hornets from 1951 to 1953 were powered by Hudson's high-compression straight-six "H-145" engine. In 1954, power was increased to 170 hp (127 kW) from 145 hp (108 kW). Starting in 1952 an optional "twin-H" or twin one barrel carburetor setup was available at additional cost. 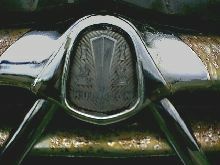 A L-head (flathead or sidevalve) design, at 308 cu in (5.0 L) it was the "largest [displacement] six-cylinder engine in the world" at the time. 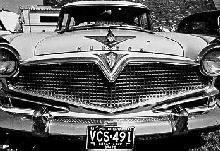 It had a two-barrel carburetor and produced 145 hp (108 kW) at 3800 rpm and 275 lb•ft (373 N•m) of torque.The engine was capable of far more power in the hands of precision tuners, including Marshall Teague, who claimed he could get 112 miles per hour (180.2 km/h) from an AAA- or NASCAR-certified stock Hornet, as well as Hudson engineers who developed "severe usage" options (thinly disguised racing parts). The combination of the Hudson engine with overall road-ability of the Hornets, plus the fact these cars were over engineered and over built, made them unbeatable in competition on the dirt and the very few paved tracks of the 1950s. The newly introduced "Twin H-Power" was available in November 1951 as a Dealer installed option at the cost of $85.60. An electric clock was standard. 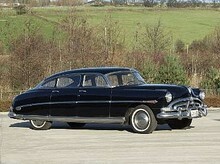 Hudson Hornet 1951 model year production totaled 43,656 units.